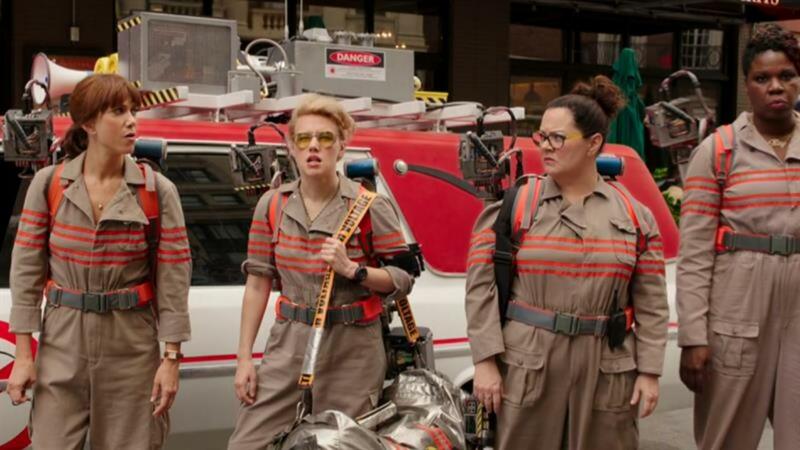 The female-led "Ghostbusters" reboot is Fandango's top pre-selling live-action comedy of the year. The online ticket service said Wednesday that "Ghostbusters" is outpacing "Central Intelligence," "Ride Along 2" and others at the same point in the sales cycle. Sony is forecasting an opening in the $38 million to $40 million range in the U.S. while other box office trackers have forecast a launch that's closer to $50 million. "Central Intelligence" opened with $35.5 million and " Ride Along 2″ debuted with $35.2 million. "Ghostbusters" is also the top Fandango pre-seller among the four movies that teamed director Paul Feig with Melissa McCarthy, which include "Bridesmaids," "The Heat" and "Spy." The title also edged out Illumination-Universal's "The Secret Life of Pets" as the summer's most anticipated comedy in a survey of Fandango users. The second weekend of "The Secret Life of Pets" will probably take in around $55 million. It opened with $104.4 million and then added $11.7 million on Monday. Check out more of the cast in the gallery below!